Motorola recently launched three smartphones under Moto flagship. Moto G Gen 3, moto X play edition, moto X style (Pure edition). Out of these moto G gen 3 was launched in India, whereas other two are yet to be launched in India. 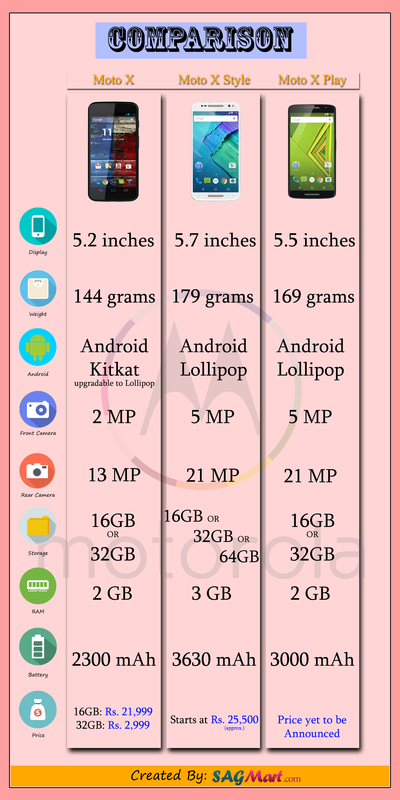 Checkout the comparison of moto X play, moto X style with the elder member moto X gen 2 in form of an infographic.